Each month at Wells Insurance, we try to find a cause to support. Food banks, children’s programs, health and educational organizations have all been the recipients of the generous contributions from our employees and executives. This year, we implemented a Dollars for Denim program, where contributions towards our corporate causes earn the giver the opportunity to relax our dress code a bit at work. This month’s charitable recipient was possibly our favorite event ever. 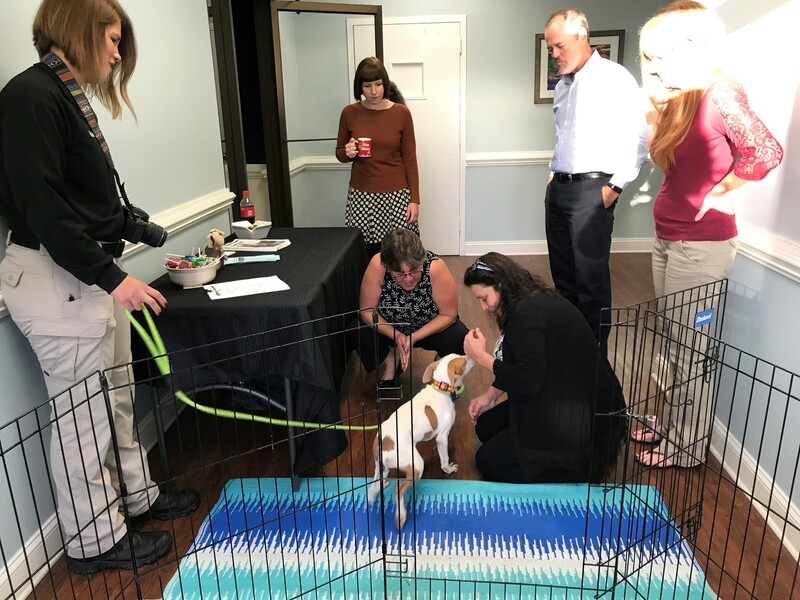 By donating to Brunswick County Sheriff’s Office Animal Protective Services, our office was treated to a visit from Amber the puppy to light up our day! Employee donations went to this organization and will be used for medical necessities for the dogs and cats at the shelter. 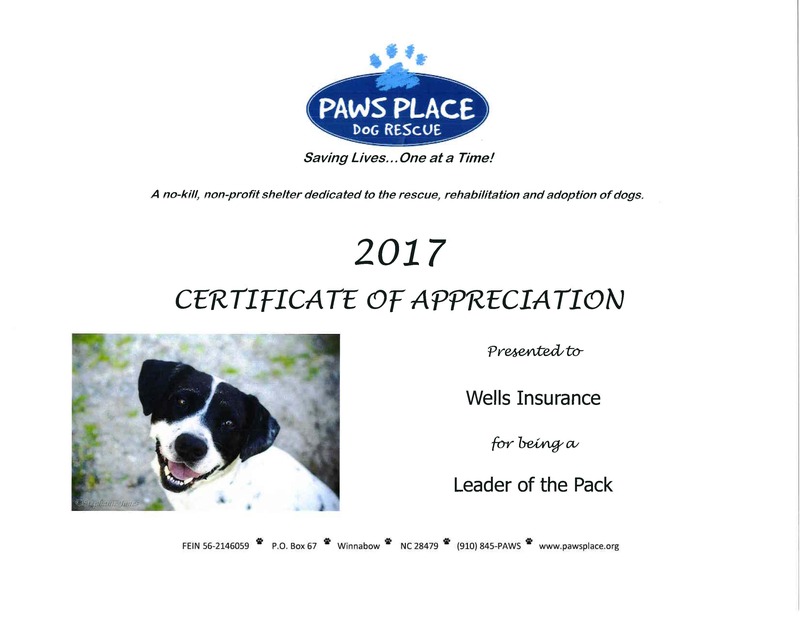 Additionally, Wells Insurance earned the “Leader of the Pack” level award by donating to help Paws Place Dog Rescue during their “Raise the Ruff and Beyond” fundraiser to help with expenses and ongoing operations for their new 6,000 sq. foot facility that will provide a refuge for countless at‐risk dogs in the Carolinas. If you are looking to bring a pet into your heart and family, we encourage you to visit Paws Place at http://www.pawsplace.org/ or https://theshelterpetproject.org/ where you can find links to shelters around the country and the animals that are waiting for their forever homes.